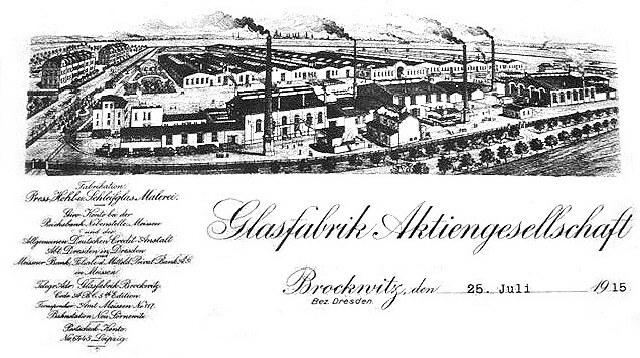 The Brockwitz glass factory was established in 1903 in the town of Brockwitz, near Dresden, Germany. 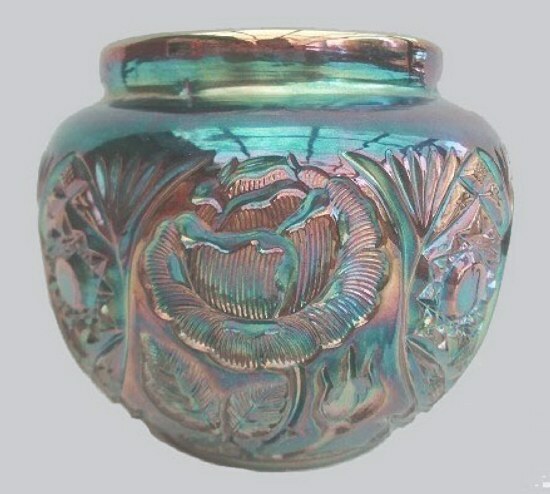 and ‘40s, Brockwitz produced Art Deco glassware; most of which was featured in their 1941 catalog. 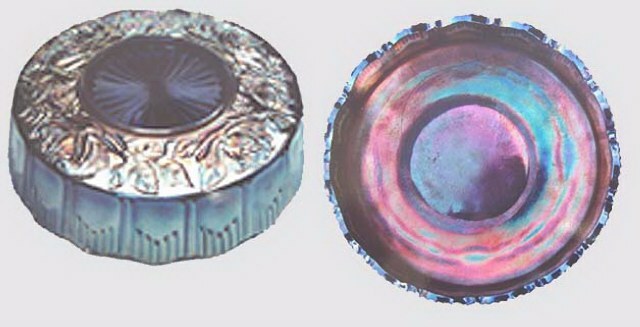 Following WWII, little is known concerning further production. 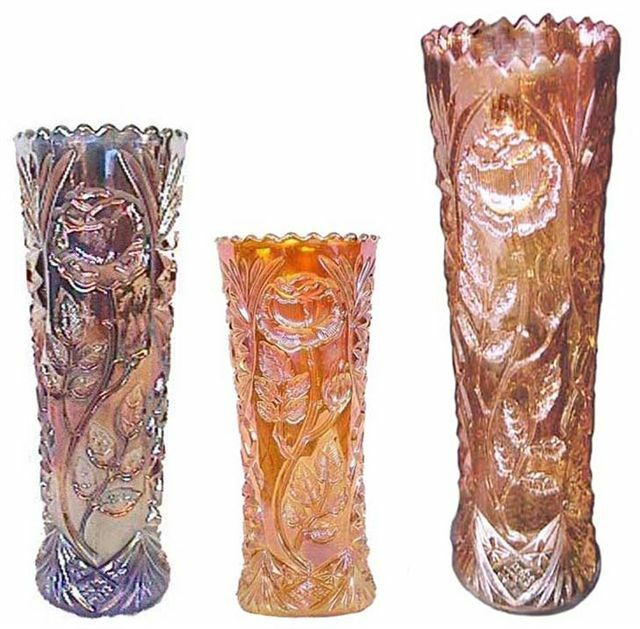 The catalog pages used in our segments surrounding this glassmaker have been graciously provided by the well-known and dedicated tumbler collector, Bob Smith. Pages displayed in our series of segments are from the August 1931 factory catalog. 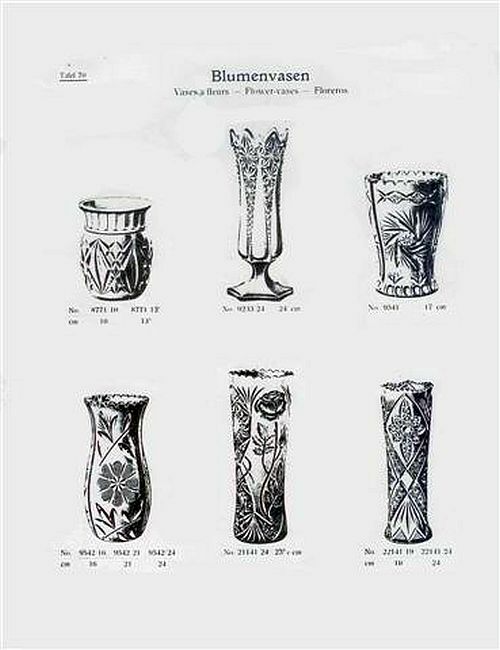 Brockwitz #83 Aug. 1931 Catalog. ROSE GARDEN 9 in.large size, 7.5 in. middle size and 5 in.small size. 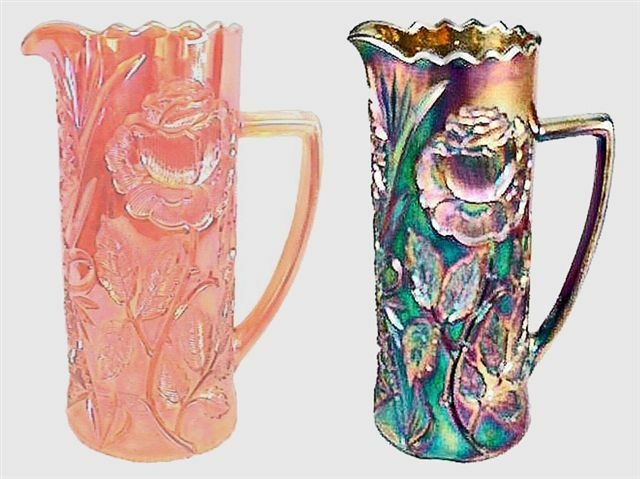 ROSE GARDEN Vases - 9.5 in. Blue - 7.5 in. 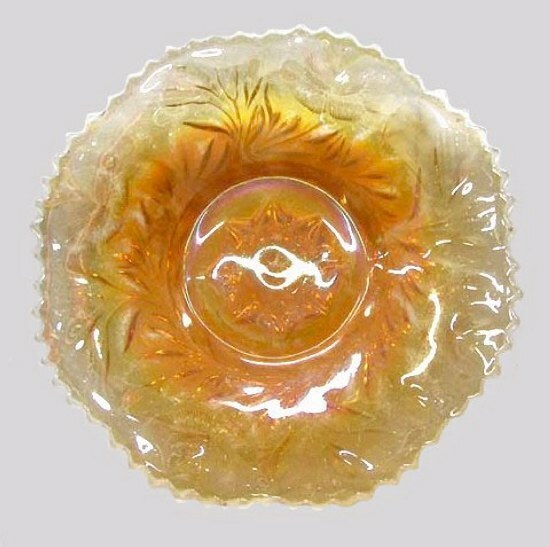 center Marigold, 10.75 in. taller Marigold. 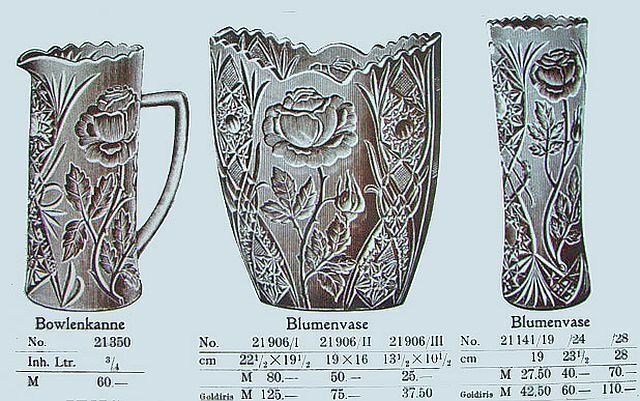 ROSE GARDEN Brockwitz - Pitchers - 8.25 in. tall. ROSE GARDEN - 6 in. 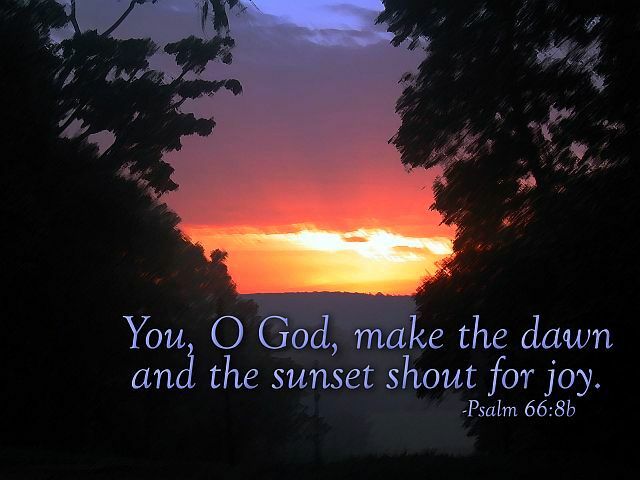 rosebowl - mgld. & 9 in. blue ROSE GARDEN bowl. 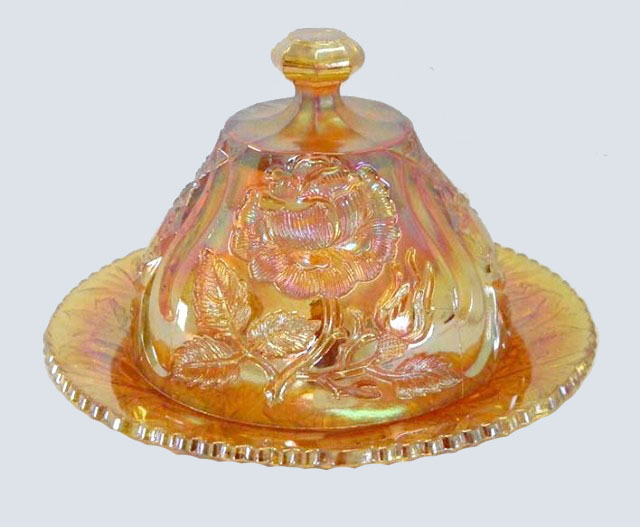 ROSE GARDEN Butter Dish in marigold. ROSE GARDEN 12 in. Chop Plate.